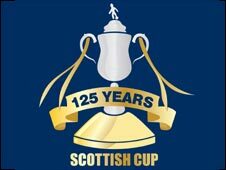 Bonnyrigg Rose became the first junior club to be eliminated from this year's Scottish Cup after losing 2-1 at home to Fraserburgh in a first-round replay. Buckie Thistle beat Forres Mechanics 4-1 on penalties after their replay finished scoreless. Gary Weir's double gave Wick Academy a 2-1 victory over Clachnacuddin with the winner coming in the last minute. Whitehill Welfare recorded a comfortable 3-0 win against hosts Wigtown & Bladnoch.